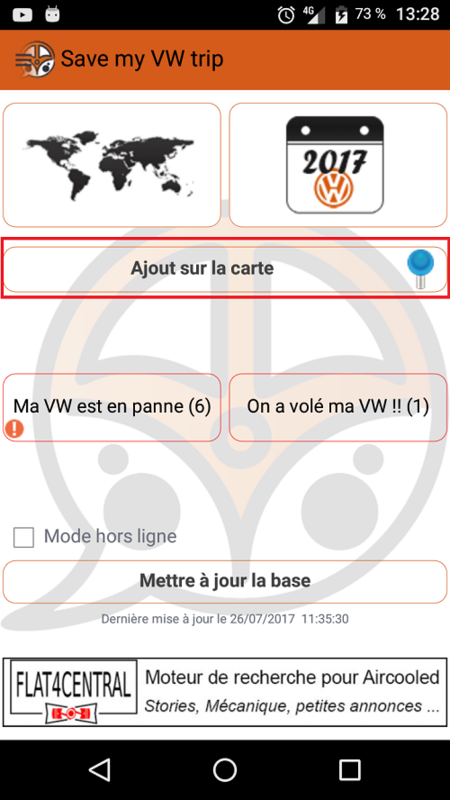 To add a VW shop, workshop or vintage workshop to the app, first check that you are correctly connected to your account. then, clic on the "Add workshop/meeting" button from the main page. Clic on the "Add Workshop / Shop" button in the upper part of the screen, and fill up the forms with as many details as you can. Once validated, it will be checked by admins before being displayed on the app. (it can take a few hours to 2 days maximum).